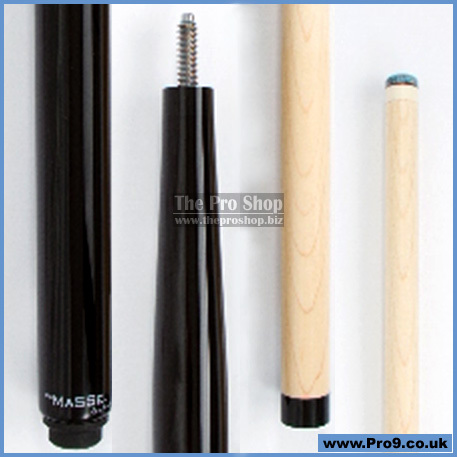 This is the Jacoby Masse Cue. 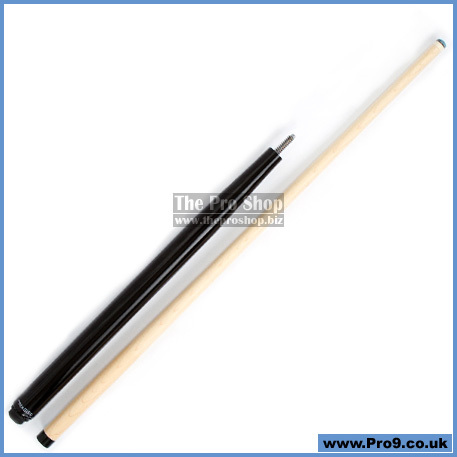 It is an Ebonized Maple cue with 14mm shaft and triangle tip. They are weighted between 22oz and 25oz.